I’ve had Samsung’s (SSNLF) Galaxy Note 9 for a few days and I can say without hesitation that this is an awesome device. It’s aesthetically beautiful, it’s fast, it’s powerful, and it’s packed with small improvements that combine to make the Note 9 a best-in-class Android handheld. I really like the Note 9. It is a case study in continuous improvement – which is clearly Samsung’s innovation strategy. There isn’t one “blow your mind” new feature, but each aspect of the Note 9 has been improved. When taken together, this combination of improvements makes the Note 9 a serious standout in a crowded room of Android phones. As expected, the Note 9 looks a lot like the Note 8 (except, thankfully, for the placement of the fingerprint sensor). Samsung has kept all of your favorite features: wireless fast charging, external storage via microSD cards, water resistance, and a 3.5mm analog headphone jack. The Note 9 has a very big 6.4? screen. The Note 8 had a slightly smaller 6.3? screen. 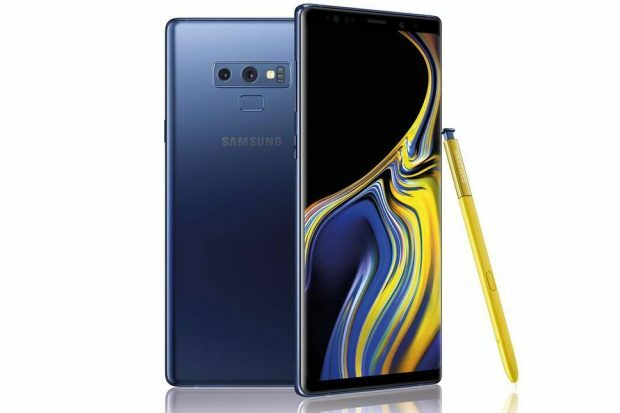 Interestingly, the Note 9 is a little shorter than the Note 8 because Samsung was able to reduce the size of the top and bottom bezels on the Note 9. If you love Note devices, you probably love the S Pen. The Note 9 has a redesigned S Pen that is active (charges in the phone) and has a bunch of new features (detailed below). For Samsung aficionados, the Note 9 has DeX software built in. DeX turns your Note 9 into a fairly functional desktop computer. Plug in a common USB-C to HDMI video adapter, add a Bluetooth keyboard, and the Note 9 is powerful enough to run the Microsoft Office Suite and YouTube at the same time. It’s impressive. One of the “not quite ready for prime time” issues I have with Samsung is the slow progress it has made with Bixby, its version of Alexa Voice Services. Samsung has demonstrated some remarkable natural language understanding, but many of Bixby’s best tricks have yet to be released. When Samsung catches up, Bixby may become an important way to interface with your home entertainment, your handhelds, your appliances, and all of the devices compatible with Samsung Smart Things (which is pretty much all of the devices in your world). For now, even though you can’t remap the Note 9’s dedicated Bixby button, “OK Google” works fine.